Have you been holding back on purchasing your Norwex mop system? Did you know that this month you have the opportunity to earn our incredible mop system, and much more for….FREE? 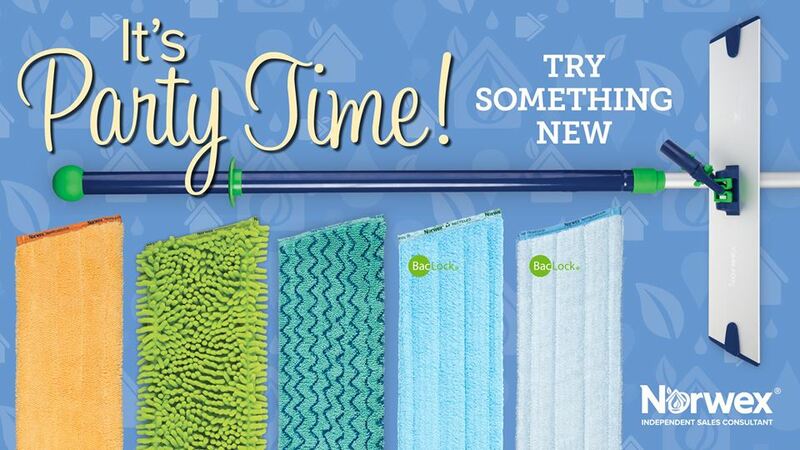 Yes…all month long in July you can earn the mop for free when you host a Norwex party! My average hostesses, actually earn over $300 of free products as a thank-you from Norwex just for hosting. I know that with selling cleaning products, you’d assume that I love to clean…..but in reality, cleaning was never one of my favorite things to do. Because we have hardwood floors throughout most of our house, one of the most daunting tasks for me was keeping the floors in our home clean. Especially in the summers with people coming in and out all of the time and living on a gravel road, it doesn’t take long for our floors to get dirty. I used to sweep and mop, but it never felt like it was really getting clean. Many times, when I really wanted to feel like it was “clean” I would resort to scrubbing the floor on my hands and knees. This felt like it took forever and I felt like I never really got my floors clean. 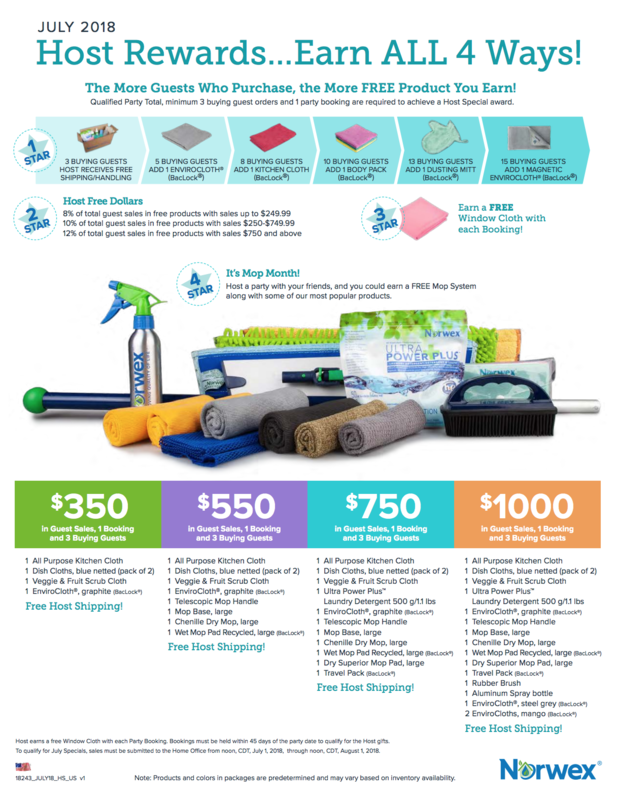 Fast forward to now…….the Norwex mop system has changed everything for me! This seemingly impossible task turned into something I could get done very quickly, saving me so much time is always a blessing! I always tell my customers that the mop is the most expensive thing in our catalog, but it also is the “Most Desired” and with good reason. It comes with a plush yellow microfiber dry mop pad (for sweeping), and a blue wet pad (for washing with WATER only). The dry pad does an extraordinary job of picking up hair, dust, and crumbs using a static charge. Then the blue pad, all you have to do is wet it with water! Yes, ONLY WATER! NO more sticky residue on my floors!!! Think of all of the money you will save not buying floor cleaner or expensive disposable cleaning products! I’ve used this mop system to clean my floors for almost 10 years now, and it has never disappointed me. From sticky juice on the floor to mud tracked in from our dog, this mop has conquered it all. It’s fast and easy for kids to use, warranted for 2 years (although mine has lasted much longer), and gets those hard to reach areas. Don’t believe me? 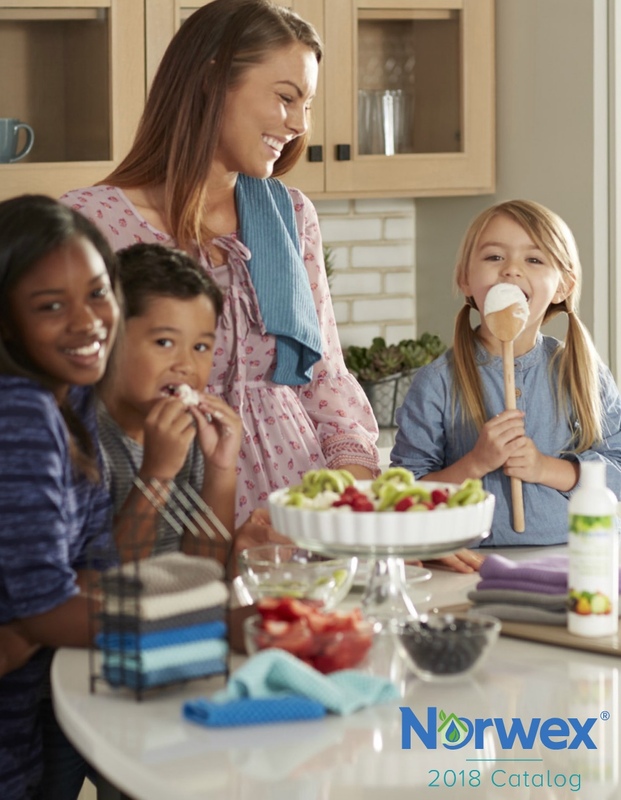 Look at all reviews for our mop system here or test one at your very own Norwex party! Take advantage of this very popular deal so you can get a mop system of your own, for FREE!